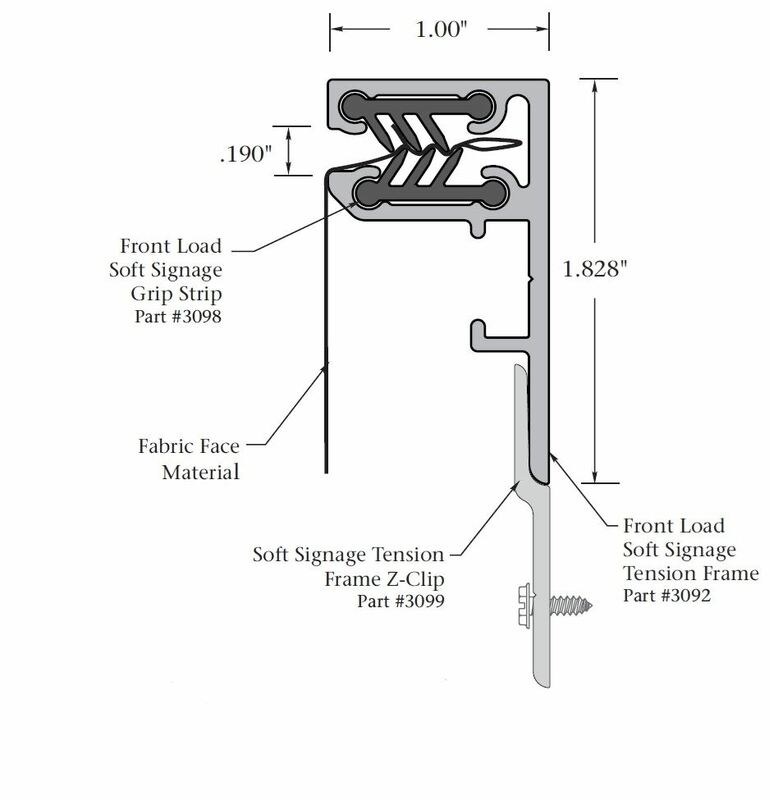 The SignComp Front Load Soft Signage Tensioning System Kit is an easy to use SEG-less framing system, which means no sewing or silicone edging is required. Since no special tools are required and the fabric doesn’t need to be cut to the exact size, this kit can be used by the novice and professional, alike. Removal of the graphic is easy with the pull tab (assembly included). This lightweight design can be mounted directly to the wall or suspended with the Soft Signage Tension Frame Z-clip.